Memories of Wenona Girl, the wonderful Australian race filly of the early 1960s, were stirred by the appearance at the races in Sydney in January of Scarlet Rain. This daughter of Arrowfield Stud resident Manhattan Rain, an Encosta de Lago half-brother to Redoute’s Choice, looked a serious Golden Slipper candidate for the Waterhouse stable after winning her first two outings. There are no immediate bloodline connections with Scarlet Rain and Wenona Girl, but both are very much alike physically, big flashy chestnuts with golden manes and tails and massive rumps. Differences are Scarlet Rain has four while feet against Wenona Girl’s two, and the latter’s parents, Wilkes (FR) (by Fair Trial’s brilliant son Court Martial) and Golden Chariot (by Golden Sovereign (IRE)), were both chestnuts. In contrast, Scarlet Rain’s sire is bay and her dam, Double Ranga (Exceed and Excel) is a chestnut whose sire and dam are bay. The flashiness of Scarlet Rain’s looks probably derives from her fourth dam Blixen, a showy chestnut Sandown Guineas winner by Mighty Avalanche. He was a handsome chestnut by the Star Kingdom (IRE) (by Stardust) sire Kaoru Star and from Snow Valley, by Small Time, a Victorian bred tough Melbourne sprinter by Smokey Eyes (IRE), whose 72 starts included 17 wins. 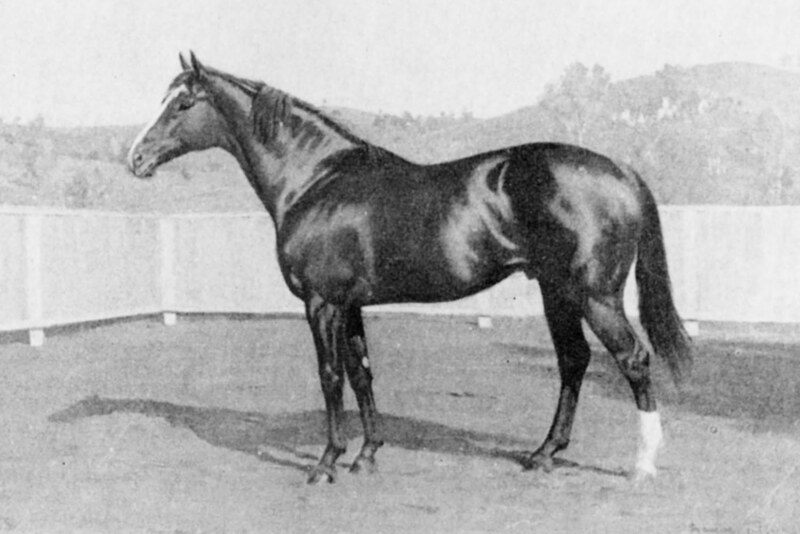 Small Time sired several good quality performers and his sire Smokey Eyes, like Star Kingdom a son of Stardust (by Hyperion), was a giant of Queensland breeding and both were chestnut. He was secured by the Krugers at Lyndhurst Stud, Warwick in Queensland in the year he had his first Victorian-conceived runners. Mighty Avalanche, who started his stud career with Jim Koureas at his Dalama Stud, Bengalla, Muswellbrook, Hunter Valley, was inbred 3mx4m to Stardust. Bred on Arrowfield, current Manhattan Rain budding star Scarlet Rain is from Double Ranga, a mare whose 13 starts resulted in one win, a 1200m maiden at Canterbury. She is by champion Danehill sire Exceed and Excel and from Pause, a good Brisbane performer by Brief Truce (USA). Scarlet Rain’s look alike, Wenona Girl, had much stronger maternal breeding. Bred in 1957 by J.W. ‘John’ Kelly, the now deceased founder of the Newhaven Park Stud, on the south eastern slopes between Cowra and Boorowa in central western NSW, she was from the first crop of his imported sire Wilkes and out of Golden Chariot. The latter, a high-class race mare, was purchased by Kelly at the dispersal of Herbert Thompson’s Tarwyn Park Stud held in 1955 on a farm near Penrith where he had transferred after half a century as a leading Australian stud master in the Bylong (Tarwyn Park) and Widden (Oakleigh) Valleys. A Widden Stud produced horseman, Herbert Thompson bred Golden Chariot, a winner of eight races, including the VATC 1000 Guineas (six lengths), STC Rosehill Cinderella Stakes and AJC Easter Handicap. She was by Tarwyn Park, Bylong based Golden Sovereign (IRE) (Monarch-Fleche d’Or by Teddy), a winner in England of the York Gimcrack Stakes (2YO) and Newmarket Stakes and runner-up in Ireland in the Derby, and from Speed, a daughter of Marconigram (GB) (Abbot’s Trace-Marcia Blanche by Lemberg) and Spear Lady (Spearhead (GB)). A winner of a major race in England, the Goodwood Sussex Stakes, Marconigram stood along side seven times champion Australian sire Heroic at Tarwyn Park and included in his progeny the winner and fifth placegetter, Marabou and Contact, in the 1935 Melbourne Cup. Contact won the 1936 Sydney Cup. John Kelly had to go to $4200 to buy Golden Chariot. It was high money at the time, but she carried the bonus of being in foal to Nilo (GB), a close relation by Nearco to Nasrullah and Royal Charger. Nilo (ex Dodoma by Dastur) did a very good job as a sire for Lionel Israel at the Segenhoe Stud at Scone. The foal became a good race filly under the name of Carrus, her successes including the AJC Reginald Allen Handicap and Kindergarten Stakes. Carrus, as a broodmare, and Wenona Girl, as racehorse, were cornerstones of the Newhaven Park thoroughbred empire that flowed following the acquisition of Wilkes (Court Martial-Sans Tares by Sind), a horse who only ran three times, winning twice at good French tracks, runs over 1500m and 2000m, and continues in the family’s hands today. HIS highest priced Wilkes yearling when Kelly took his first crop to the Easter Sales in Sydney was the filly who was to become Wenona Girl. Purchased for the same price Kelly paid for Golden Chariot by the chairman of the Sydney Turf Club, Bill Longworth, and named after the prestigious school at which his wife was educated, Wenona Girl became one of Australia’s greatest female performers, running 68 times for 27 wins (15 now considered Gr.1), 19 seconds, seven thirds and earnings of $141,750. She retired to the breeding paddocks the highest earning mare to have raced in Australia. 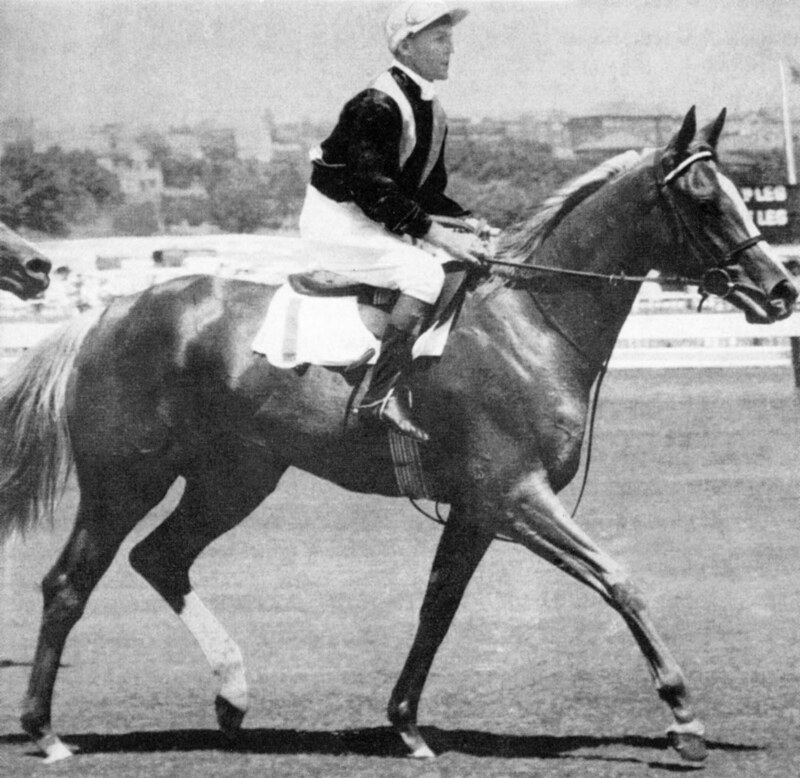 Although she was well beaten when runner-up to Sky High (by Star Kingdom) in the five runner 1960 Golden Slipper, Wenona Girl was placed over him as Champion Juvenile of the year. Both horses went on to star up to 2400m and both, uniquely for first and second Slipper placegetters, are members of the Australian Racing Hall of Fame. After winning her only two spring starts, including the Gimcrack at Randwick on debut, Wenona Girl returned in the autumn to show her superior ability with wins in the AJC Sires’ Produce Stakes and VRC Sires’ Produce Stakes. Her Gr.1 class race performances three and up included wins in Sydney in the Adrian Knox (now Australian Oaks), George Main (1963), Rosehill Guineas, Rawson Stakes (twice), Flight Stakes and in Melbourne in the George Adams (Emirates Stakes), Lightning, Caulfield 1000 Guineas, Futurity and C.F. Orr (1962). Besides the Slipper, she was runner-up in Sydney in the All-Aged, Epsom, George Main (1962) and Canterbury Stakes and in Melbourne in the Oakleigh Plate and C.F. Orr (1963). Thirds included an appearance in the Victoria Oaks. Wenona Girl was easily the best of the six winners from Golden Chariot, but two others by Wilkes bred by J.W. Kelly were Grammar Lad (raced by Longworth and named after his old school, Sydney Grammar) and the filly Emblem. Second top colt in the 1961-62 Australian 2YO Free Handicap, Grammar Lad won 11 races up to Gr.3 and picked up Gr.1 cheques with seconds in the AJC Sires’ Produce Stakes and Champagne Stakes and thirds in the Golden Slipper and Caulfield Futurity. In a sire career restricted by modest patronage and fertility, Grammar Lad supplied some handy performers including Grammar Lass, third placegetter in the ‘boilover’ running at Randwick in the autumn of the 1969 of the Sires’ Produce Stakes. It saw dazzling Wilkes Slipper winner Vain finish second to Beau Babylon (by King of Babylon). The filly Emblem did not run in the Slipper, but gained honours as the best juvenile filly of 1960-61 through wins in Sydney and Melbourne (VRC Sires’ Produce Stakes). Wilkes’ ability as superior sire whose progeny could shine early, also got boosted by the first foal Kelly bred using Golden Chariot’s Nilo daughter Carrus. Named Farnworth and also raced by Longworth, this bay colt won the 1964 Champagne Stakes at Randwick and finished second to the awesome first crop Todman colt Eskimo Prince in the Slipper. Singleton, Hunter Valley born Bill Longworth, an Olympic Games swimmer and a foundation director of the Sydney Turf Club, a distinction also held by Golden Chariot’s breeder Herbert Thompson, placed in five Slippers with Kelly bred Wilkes offspring, Wenona Girl (second 1960), Young Brolga (second 1961), Grammar Lad (third 1962), Farnworth (second 1964) and Eugene (third 1967). THREE times Champion Australian Sire and also thrice successful by juveniles, Wilkes also supplied Slipper winners Vain (like Wenona Girl in the Hall of Fame), John’s Hope and Vivarchi (1976) (both Kelly bred), second placed Alfalfa (1968) and third placed Skyjack (1974), Very Merry (1966, Kelly bred and raced). Mainly a source of winners up to 1600m, Wilkes also became a prominent broodmare sire. He was not helped a lot by Wenona Girl who left seven named foals, five of them fillies. Breeding for Lloyd Foyster at the Gooree Stud, Mudgee she did, however, produce as her first foal Special Girl, a Todman filly with an awesome turn of foot, but one whose potential was blighted by a dicky knee. She won eight races up to Listed level, three of them at two in 1968-69, a year in which she fifth placed as a 4-6 favourite in the Slipper won by Vain by four lengths. There is nothing of significance under Special Girl, herself producer of only one foal, an unraced Showdown (GB) mare by the name of Exclusively (dam of two foals, one filly), but an unraced Special Girl sister, Day Girl, is the fifth dam of Golden Rose-Gr.1 winner Manawanui (by Oratorio (IRE)), and an unraced half-sister Pilmuir (Super Gray (USA)-Wenona Girl) conceived at 20 after Wenona Girl was sold to NZ as an older mare, is the dam of Kinjite, a top notch Centaine performer who sired stakes winners up to Gr.2 level. Pilmuir has established a strong branch of this family in NZ and left six fillies from 10 foals. Subsequently sire of nine stakes winners, Kinjite finished in the first four in 14 Gr.1 races, wins AJC Spring Champion Stakes, Epsom Handicap, STC George Ryder Stakes, seconds MVRC W.S. Cox Plate, AJC George Main (twice), Chipping Norton, BATC Doomben Cup, QTC Castlemaine, a third AJC Chipping Norton and fourths in the VRC Victoria Derby, AJC Doncaster, Champagne Stakes and BATC Doomben 10,000. The greatest legacy left by Wilkes was undoubtedly his son Vain, a Victorian bred son of the Orgoglio (GB) (by Nasrullah) good sprinter Elated. Not only was Vain one of the most brilliant gallopers seen on the Australian turf in the second half of last century, but from use at the Widden Stud, he was a major speed influence as a sire of winners and as a broodmare sire. Vain was the sire of Golden Slipper winners Inspired and Sir Dapper and second placed Vaindarra and he appears twice as a broodmare sire in the pedigree of world superstar sprinter Black Caviar. He is a wonderful asset to have in any pedigree. UNBEATEN in two starts at Rosehill in January over 1100m and 1000m after tuning up for the races with a trial win at Randwick, Scarlet Rain is raced by a big syndicate of owners and trained by Gai Waterhouse. Her sire won two of his six starts as a juvenile including the AJC Sires’ Produce-Gr.1 and was third in the Golden Slipper-Gr.1 behind Phelan Ready and Headway. Although he did not win in five starts at three, Manhattan Rain (Encosta de Lago-Shantha’s Choice by Canny Lad) was runner-up in the Cox Plate-Gr.1 to So You Think and third in the Caulfield Guineas-Gr.1 behind Starspangledbanner. One of his dam’s nine winners, he is a half-brother to multiple Gr.1 winner and multiple champion sire Redoute’s Choice (Danehill), a barn mate at Arrowfield Stud, and Gr.1 winner Platinum Scissors, while his dam is a half-sister to Gr.1 winners and sire Umatilla (Miswaki) and Hurricane Sky (Star Watch). Manhattan Rain retired to Arrowfield in 2010 and his 60 winners include Gr.2 winner Moonovermanhattan and stakes winners Ondina, Manapine, Crafty and Wild Rain. His twice-champion sire Encosta de Lago (Fairy King) has left more than 100 stakes winners including short-lived sire sensation Northern Meteor, Racing to Win, Alinghi and Pricess Coup. Scarlet Rain was bred by an Arrowfield Syndicate and her dam, city winner Double Ranga (ex Pause by Brief Truce), is a three quarter sister to Macau stakes winner Happy Forever (Commands) and a half-sister to Listed winner Super Lacuna (Grand Lodge). Scarlet Rain’s third dam Bogani (Sir Tristram) is a half-sister to seven winners including Avilde (Grand Lodge) and to the unraced Oorong (Grand Lodge), a dam of Golden Rose-Gr.1 winner and sire Toorak Toff (Brave Warrior). They are daughters of Gr.2 winner Blixen (Sandown Guineas), by Mighty Avalanche and from Swahali Princess by Frontal (USA) (Vaguely Noble) and from Vivace (Sostenuto-Passing Cloud (IRE) by Golden Cloud). Passing Cloud won eight races in England and Australia and was runner-up in The Short-LR. Descendants of her stakes winning daughter Bright Picture (Pipe of Peace) include Gr.2 winner Seawinne (Sea Road), while Vivace’s stakes winner daughter Kiwi Princess (Decies) also established a sound branch of this family with descendants including Lusso (Prego), Sabie (Exceed and Excel), Moet Magic (Second Empire) and Gr.3 winner and sire Laranto (Esperanto). Scarlet Rain has Northern Dancer 4m,7f,5mx5m,5m,5f and has Sir Ivor 6f,5fx5m.